When men realise the benefits of co-operation they will adopt it naturally as the most pleasant and intelligent way to proceed. Gone for ever will be the hardship and tension of constant competition, the strain of which saps the joy of work and makes each day a struggle for existence. Of course, there are many who adore this competitive struggle, who find in competition the stimulus that for them makes life worth living, pitting their frail egos against the rest. They need competition to register themselves to themselves. However, in the time immediately ahead, men, more and more responding to the beneficent energies of Aquarius, will realise the divisive nature of competition and will gladly acquire the habit of co-operation. In this way the world will reap an enormous benefit, as men work together as equals in the many tasks of reconstruction which will await their service. Thus will the world be transformed by willing hands. Thus will the new world be wrought. Aquarius is another word for unity, and through its gift of co-operation that unity will gradually become manifest. Unity will be the hallmark of the new time. For countless thousands of years, competition has held sway. Many are the achievements by which the habit of competition has enriched the forward striving of the race, but significant as these may be, they are as naught against the possibilities which co-operation would have allowed. As civilisations have marked the progress of man, the highest inspirations have sprung from co-operative effort, and have beckoned men forward. Today humanity has come to a turning point. Man’s ever-enquiring mind and competitive spirit have brought the race to its most dangerous point in history. The desire for ultimate power in its most material form has given us the atomic bomb and a life of misery for millions. Man has thus to enter gladly a new path that will bring an end to destructive rivalry and war, or face oblivion itself. This is the choice which now faces the race of men. Each one must think deeply and take his stand. A. 64 (as of 12 May 2012). Q. Is Maitreya continuing to give His interviews in Brazil, or has He given any recently in another country? Q. When Maitreya gives television interviews, does He travel by aeroplane to the various cities in North and South America to go to the studios, or is He linked via satellite from London? A. He has His own transportation – a spaceship that keeps within the Earth’s orbit and travels on the etheric plane. Q. Are there now more than 2 billion people Maitreya “can count on”? You mentioned that He could count on 1.8 billion people a few years ago. A. It is now about 1.8 billion and rising. Q. In the March 2012 issue of Share International your Master wrote an article in which He mentioned some signs to come which would galvanise and fascinate people who experienced them. Your Master also wrote that the experience of the signs would help prepare people for the emergence of Maitreya and the Masters. (1) Have any of the signs referred to by your Master already taken place? (2) Are you at liberty to indicate what sort of signs they may be? 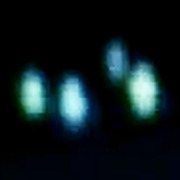 Would the forthcoming signs be related to UFO activity and the work of the Space Brothers? A. (1) Yes – in Macedonia, in one of the old churches, the inside walls of which have painted murals. 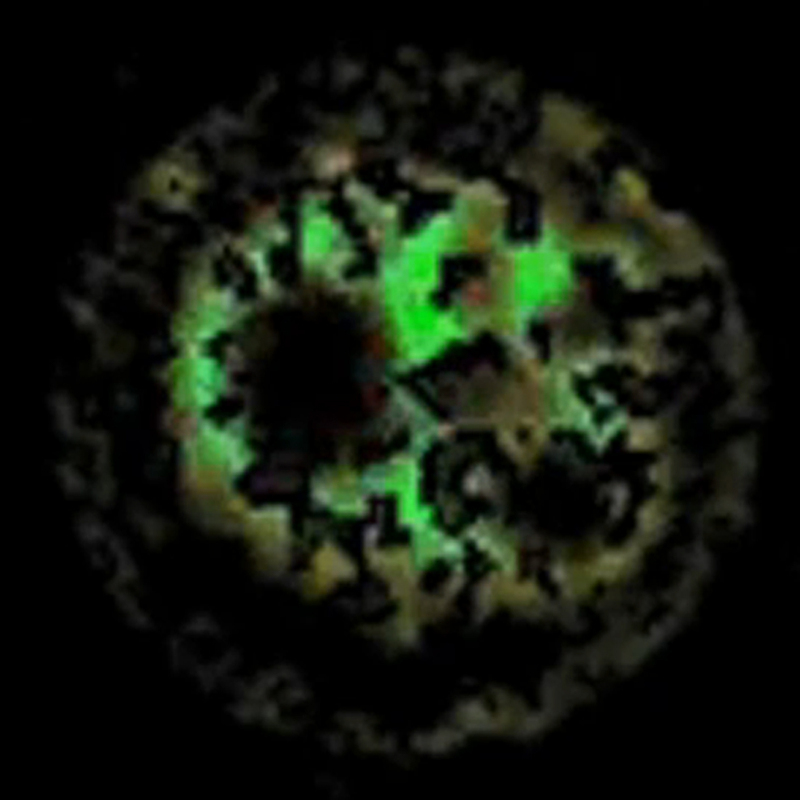 Over the centuries the ‘candle torches’ have blackened the entire images. A miracle recently happened when the halos of the icons suddenly began to glow brilliantly, as if restored with gold paint, looking as bright as the day they were painted. Coloured parts of the mural also regained their vivid colour. This first sign was manifested by Maitreya (see Share International May 2012). This marks a new phase in the appearance of signs. (2) I do not know. Q. (1) Are any of the people working in the United Nations members of the New Group of World Servers? (2) Do any of them know about the emergence of Maitreya and the Masters? A. (1) Yes, many. (2) Yes, some do. Q. In Helena Blavatsky’s book Isis Unveiled Volume 2, page 537, she writes in regard to Jesus: “Went to Mathura or Matarea, Egypt, and produced his first miracles there. (See Infancy Gospel of Thomas)”. Blavatsky in her Collected Writings Volume V, page 239, writes: “It may be remarked in this connection that, while the first “miracles” of both Krishna and Christ are said to have happened at Mathura, the latter city exists to this day in India.” (1) Are Matarea and Mathura other spellings for Maitreya? (2) Do these two towns have a historical connection to Maitreya? A. (1) No. (2) Yes. Q. What is your opinion of the land-grab occurring in the last few years as fears about food insecurity rise? Countries like Saudi Arabia, Qatar, China, Jordan, Kuwait, South Korea and even India are buying up land in other countries, mainly in Africa but also in Australia. A. I do not personally like the practice of nations with money buying up land commodities in other countries. I think it is part of the commercialisation that can make money for someone. Loans could be useful but not the acquisition of nations’ birthright. It is commercialisation gone mad. Q. In an effort to save energy, land, water, and reduce agricultural pollution, there are projects under way around the world to grow food indoors using specially designed indoor lighting. How would food grown indoors with artificial light compare, from a nutritional standpoint, and from a ‘prana’ standpoint, with food grown using traditional methods, with sunlight? In general, is growing food indoors using artificial light a useful approach? A. It might be a useful adjunct to the normal methods but would lack at least some of the required vitamins. Q. In which way, at a personal level, can one contribute to the planet’s evolution, in addition to practising Transmission Meditation, correct thought and right relationships? A. If you do all of that you’re doing very well. Q. How many Masters, apart from Maitreya, take part in sending the energies for Transmission Meditation? A. There are 63 Masters working with the human evolution and many of Them are involved in Transmission Meditation. Their number varies from time to time. Q. Are the same Masters always involved in all Transmission Meditations? Or, for instance, could it be that the Master in Tokyo is involved in the Transmission Meditation in Japan but not, say, in London or Barcelona? A. Yes, it is a fluid situation. Q. (1) During the Wesak Full Moon Festival that has just passed how ‘close’ can the Buddha approach humanity now? (2) From which level does He send His energy to Maitreya? (3) Where is the Buddha now? A. (1) He comes to a valley in the Himalaya where the Masters are gathered for the event. (2) The buddhic level. (3) In Shamballa. Q. A couple of years ago the Food and Agriculture Organisation of the United Nations (FAO) launched a campaign about hunger, claiming that 1 billion people are hungry. The FAO’s statistics were later called into question; since then there has been some disagreement about the true facts. (1) Could you please ask your Master to say how many people globally are suffering prolonged hunger? (2) How many are suffering from malnutrition? (3) How many are under threat of starvation? A. (1) Close to 2 billion. (2) Millions more than that. (3) Approaching 2 billion. Q. Does eating meat and not respecting and protecting animals hinder the awakening of consciousness? A. Yes. To some extent. It varies from individual to individual but generally speaking eating the blood of animals slows down the evolutionary process. This includes eggs. Q. (1) How many wars and revolutions must mankind experience so there will be no more pain in the world? (2) And what is needed for men to evolve? A. (1) Yes, that is the question. (2) Awareness. Q. With regard to experiencing the Day of Declaration: what will happen with people who die before the Day of Declaration? Will they still experience that event on the inner planes? Q. What will happen with people that will not accept the energies of Aquarius? Where will they continue their evolution? A. On Earth as everyone else. Gradually the energies of Pisces are being withdrawn so they will experience more and more of the Aquarian energies and gradually change. Q. (1) When and how will we develop telepathy? (2) Are there already people that have developed telepathy? A. (1) It is a natural process which we share with the animal kingdom and which gradually develops as our aura becomes magnetic. Obviously the timing of this cannot be foretold because individuals are at such various degrees of development. But in time, telepathy will be common throughout the world and will eventually replace speech. (2) Yes, many. On Saturday 25 February 2012, I was helping at a video talk of Benjamin Creme at Seijou Hall in Tokyo. The video was supposed to start at 7pm and just beforehand when I was closing the main entrance door an old woman rushed towards me and entered the hall. She was about 1.5m tall and wearing a long purple coloured down jacket and a pair of black running shoes. I also noticed that she was wearing a very interesting hat. It looked like a beret but half of it was covered with animal fur. She was holding two bags and one of them was a purple-coloured rattan basket. She looked so strange so I tried to see where she was sitting. It was not difficult to find her because of the distinguished hat. She was sitting in the front row on the far left. Soon after I noticed her there, the video began. 90 minutes later the video finished and the crowd came out from the venue. Most people left quickly, but I found her in the lobby talking to our co-workers. I couldn’t hear what they were talking about but she was kind of shouting to them. Her voice was loud and shrill. The situation was quite tense so I tried to find out what was going on. I guess she was asking some questions but their answers were not convincing her. So I and another co-worker tried to listen to her questions again. She mostly spoke to this co-worker as if she was preaching to her. I sat down in a chair listening to their conversation. Amazingly this conversation lasted about an hour. She talked about so many things I can’t remember most of them but I do remember she said everybody was trying to imitate her all the time. When she wears purple, every neighbour wears purple. If she plants some flowers, they plant the same flowers. But it’s useless to imitate her at all and they don’t say “Thank you” to her anyway. She also talked about the education system in Japan where the government is trying to make people the same and killing the individuality of youth. She said to me: “How can you make a Picasso in this kind of education system in Japan now!” I thought, “Wow,” she looked like a strange person but she is surely one of a kind and her talk gave me some answers to my personal questions. I am wondering if this distinguished old woman was Maitreya or the Master Jesus. Would you tell me who she was? Early in March 2012, I was travelling in the UK with my family, and would like to confirm some impressive experiences during our two-week trip. (1) We had a reunion with our son who had been studying in Manchester. On 2 March all of us visited Stonehenge. On that day there were many tourists visiting there. We borrowed audio guides and each one of us freely walked around while listening to the commentary. There was a path surrounding Stonehenge for tourists, and it was when I was on the middle of the path that I noticed an old lady at the wayside standing still and directing herself towards the center of Stonehenge. Somehow I was attracted by her. She stared and smiled at me, which surprised me and at the same time filled me with much joy. I also smiled back at her by way of greeting. She looked like a sophisticated British lady probably aged around 65 and was wearing a long black hooded cloak. In her hand she had a long cane, the top of which was split from the center just like the two horns of a goat curved downwards. It was exquisite workmanship. As a whole, her features looked eccentric. Even after I passed by her, I could not help looking back at her many times from curiosity. She seemed to stand completely still even in the cold wind, and it made me think that she might have some spiritual mission. Was this lady a special person? (2) On 8 March, we were walking through London. On the way from Westminster Cathedral to Big Ben, there were the Houses of Parliament, which were very highly guarded. It seemed to me that no ordinary people could enter there, so we went on. Just then a young man came up to us and said, pointing to the gate, “If you go over there, you can enter this building. It’s all right.” We hesitated a little, but following his kind words, decided to visit there. Without any difficulties, we were allowed in. As we walked on the visitors’ route, to our surprise, we found the young man also standing in line. He asked us where we came from. When my husband answered him, saying “from Japan”, he nodded, smiling radiantly. He was full of a sophisticated air of intelligence and wisdom. He was slim and tall, aged around 35 and wearing glasses. His high-quality, long wool coat suited him very well. His well-trimmed nut-brown hair and pure white skin was perfectly neat and clean. Later, we lost sight of him, but were able to have the unexpected opportunity to look inside the Upper House building as well as observe the debate in it. We owed it all to the wonderful and invigorating youth. Was he a special person? (3) While walking on Westminster Bridge, after our visit to the Houses of Parliament, all of a sudden I heard a loud shouting voice. I was surprised and looked back to find an old gypsy-like lady with a black scarf shouting at my husband. To my surprise, in spite of her beggar-like behaviour, she had an air of dignity. She shouted angrily: “A little money, a little money, for the children, for the children!” My husband was dumbfounded by her behaviour and stood stock still. No sooner had my husband pulled himself together and given some money to her, when she walked away. Next morning, while walking in Hyde Park, my husband said: “I gave the old lady £3 yesterday and she did not even say ‘thank you’. Then I remembered what my son had told me, that in the UK, if a crime such as theft was committed for survival, it should be allowed.” It seemed to me that the incident had touched his heart deeply. Was the old beggar lady a special person? I had a very strange encounter in November 2006 in the small restaurant at the Krishna temple in Los Angeles. As I walked in that evening I noticed an Indian-looking man who bore a close resemblance to Gandhi. He smiled at me and after I had filled my plate I went to find a seat. He was sitting in a booth and motioned to me to join him. As we were both hungry, we ate in silence for a while. I was in a strange, almost exalted state, which I attributed to the CD of Indian chanting being played as mood music. This man then looked up at me and began “reading” me, making statements to me about my character, my personal situations, and my spiritual life. This went on for perhaps 15 minutes, in a very natural, almost casual way, with us eating, conversing, then eating some more. My mind was quiet, accepting, in the moment. I mentioned his resemblance to Gandhi and he joked he got that comment a lot. I mentioned I lived close by but had never seen him there before. He said that he used to come quite often, but not so much anymore. He was friendly but not frivolous. At the end, he said he had to go. He then bowed to me and said: “I bow to your wisdom, your compassion, and your beauty.” I accepted his praise, but didn’t feel puffed up. The energy was what I’d now call intimate. It wasn’t until the next day that I came out of that state and began to really think about what had happened. Perhaps my elevated mindset was not due solely to the music. I have followed your work for years and recognised the parallels to encounters with the Great Ones. Was this an encounter with Maitreya? R.R.R, Venice, CA, United States. After the questions-and-answers session of the Spanish Emergence annual conference in Barcelona on 3 March 2012, my wife and I went to a restaurant where the Spanish co-workers arranged to have dinner. On our way there, at the corner of Passeig de Gracia street, we stopped as we were not sure if we were going the right way. I was trying to find it out with my mobile phone when a young African man, selling small crafts from Africa, stopped at our side. After greeting us, he asked us whether he could talk to us, when we answered affirmatively, he told us that although there were many people in the street, he stopped to talk to us because we were good people. Then he said that it was a great day for Africa, and he told us that the little figures of an elephant with his trunk upwards was a symbol of good luck. He again said that we were good people, and a happy couple. At a certain moment he asked who of the two of us was the dominant partner. Looking at our expressions, he said, “None of you, that’s good”. Then he said: “The children of Africa send you a gift”, and addressing me, said: “I will give it to you so you then give it to her”. Then he gave me a small reddish wooden figure. It was a small elephant, sitting with his trunk upwards, and a big ball between his feet. As soon as he gave it to me, he told me: “Give it to her”, and so I did. Then he addressed my wife, telling her: “Put it under your pillow, and see what happens.” When he was saying goodbye to us, shaking effusively our hands, he told me: “Is there anything for the African children?” I put my hand in my pocket and gave him some money. Without looking at the money, he put it in his pocket and went away. Both of us agreed on the contagious and joyful expression on the young African man during our encounter. Was he special or just a very nice and kind young man? 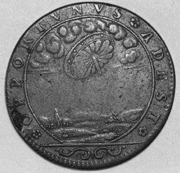 This photograph shows a French coin from 1680. 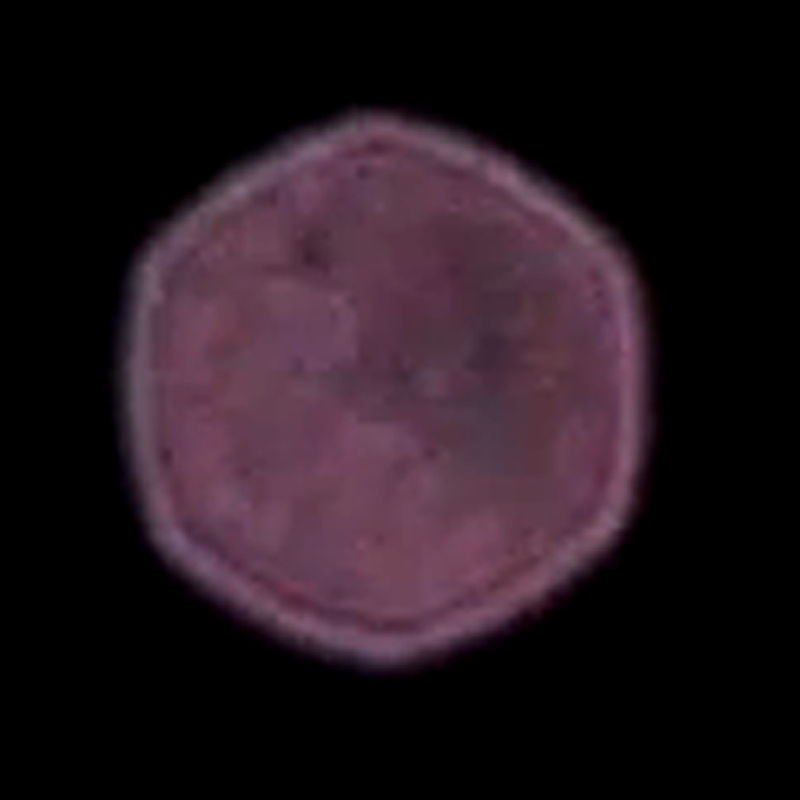 On one side of the coin there seems to be an image of a UFO with the Latin inscription “opportunus adest”. The coin was legal tender in France at that time. * (1) Who decided to mint the coin with that image and inscription? (2) Was it a person aware of the existence of the Space Brothers? (3) Did the person have the intention to leave a sign of the historic relationship with Them? 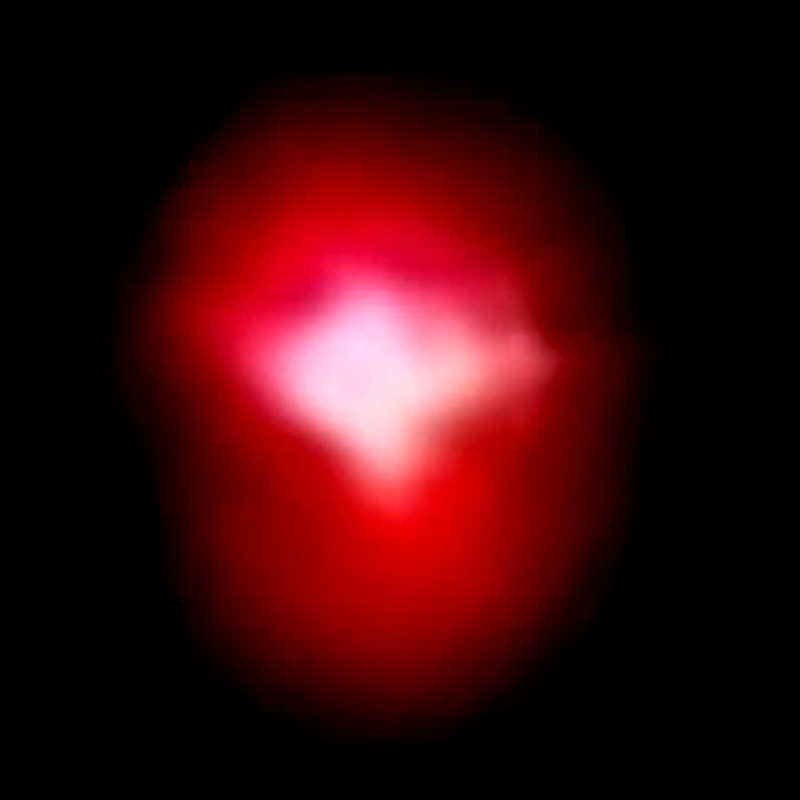 Amsterdam, the Netherlands– Series of photos of a bright star rapidly changing colour every few seconds. Taken in late March 2012 in a south-westerly direction at about 30 degrees above the horizon. Sent by Corné Quartel, Amsterdam. We present a selection of quotations on the theme of ‘Free Will from Maitreya (Messages from Maitreya the Christ), Benjamin Creme’s Master (A Master Speaks), and Benjamin Creme’s writings. “Generation Waking Up is a global campaign to ignite a generation of young people to bring forth a thriving, just, sustainable world,” according to the group’s website. Joshua Gorman is the founder and co-ordinator of this San Francisco-based NGO. Gorman also serves on the Board of Directors for the Global Youth Action Network and supports youth-led projects around the world. He is currently working on a book, Generation Waking Up: How A New Generation Of Young People Is Coming Of Age And Changing Our World. Jason Francis interviewed Joshua Gorman for Share International. Share International: What inspired you to start Generation Waking Up? Joshua Gorman: It really is connected to my personal story. I was a troubled youth as I came of age. In my teenage years, especially during high school, I began to wake up to the state of our world. I started to confront the suffering in my own family and community, and was traumatized and deeply disturbed on an inner level by what I found. It sent me on a spiritual journey even though as a young man I was not aware that was happening. So I spent years lost and depressed, seeking and asking questions. That lasted through my teens, and around my early twenties I started to be exposed to some good resources and good people. Around that time I moved to Hawaii, where I became a farmer and started working on the land. I had a very powerful back-to-nature experience, working everyday from sunrise to sunset and getting into my body and out of my head. I got a clear sense of who we are as a young generation today, being born in the history of this moment out of a global crisis. At that point I was suddenly exposed to thinkers and visionaries who considered this moment in history not just as a crisis, but also as a birth; as a process of awakening; as a process of transformation; as a process of being forced to outgrow one stage, grow up, and step into a new level of maturity and consciousness. I had a powerful visionary experience one day. In my mind’s eye I saw a vision of young people and social movements rising up and helping to heal and transform our communities and societies. I saw humanity weathering the storm and finding our way forward into a new world. When that happened, Generation Waking Up was born as a vision inside me as a young man. I surrendered to it and moved back into the world, back to Washington DC where I grew up, and joined forces with other young activists and change-makers. Suddenly Generation Waking Up blossomed into an organization. SI: Could you discuss the programs at Generation Waking Up and some of the actions that are taken as a result of those programs? JG: Our first program is what we call our flagship program. The long name for it is the Generation Waking Up Experience. Its nickname is ‘The Wake Up’. The Wake Up is a three-hour multimedia workshop that uses short videos and small group processes and games, personal journaling and reflection time. In that workshop young people go through a journey of looking at a series of questions: Who are we as a generation? Where are we, or what is the state of the world we are inheriting as a generation? What has to change? We look at the root causes of all the challenges we are facing and how we can actually start to change the root causes to change the whole system. Lastly, we look at what do we do now, how to take action, and what our individual role is. Also, how do we take action as a generation and as groups of young people? The Wake Up is an igniter. It motivates young people to get active and become part of a larger movement. From that educational workshop the actions we see often start out small. Some people might have an environmental awakening because they just watched a video about the state of our environment. They might go home and start recycling, buying and eating healthier food, shopping locally, becoming more conscious consumers, or suddenly living more fully and deeply because they have been reflecting on their values and what matters to them in their life. They may go to our website and discover one of the campaigns we are supporting. On the social justice front there are campaigns we do around immigration, economic equity in local communities, making sure there is fair access to resources and that needs are being met. We also are taking action on the student loan crisis, making sure that the price of college and university is affordable, and that more loans and financial aid are available. Some young people start their own projects and organizations. We had one action project that some of our leaders participated in called ‘Summer of Solutions’. They form a team and recruit 20-40 young leaders in a local area. Throughout the summer, for about two months, many of them live together, but most importantly they work together on local projects. They might start a local community garden, or local education projects with children or youth in a community. Some of them started a local solar panel initiative and helped people reduce their energy use in their home or community. Building community across lines of difference is a big part of what we do. We are a diverse generation but we still live in a segregated society. We do a lot of community-building, and usually out of that, collaborations and community solutions come forward. At the high school and college level we support young people and start local groups called Thrive Hubs. One, two or three student leaders may start a Thrive Hub, then those local groups have a small co-ordinating team and the leadership team helps that group run itself and take action. We also partner with some big campaigns. For example, 350.org has a day of global action and invites everybody on that day to come out and work together around clean energy solutions. We get behind them. There’s a big push of people working to do campaign finance reform in the United States to free up our democracy so it can work in an effective way. We support and help our network get involved in that issue. We raise awareness, write to our political leaders, send them petitions, make phone calls, use Facebook and social media to spread the messages as far and wide as we can. SI: How does the concept of a group rather than individual endeavor empower young people and make what seems unlikely of accomplishment on the individual level something that is quite possible to do when joined with like-minded people in the world? JG: That’s one of the most exciting stories of the millennial generation, this young generation. We are highly collaborative, and the new collaborative technology is enabling that. There is a culture around using this technology which promotes sharing and cultivates the spirit of collaboration. No one of us has the perfect solution or the whole idea for what is needed for a project, but suddenly one person has a skill, an idea, a relationship or contact. Another person has a different resource and they put them together and suddenly they have an awesome project. So there is a camaraderie of shared purpose that really inspires us to keep going. When we are personally engaged in projects like that it fills us with hope, meaning and purpose. We see that happening all over and those are the stories we are trying to share more and more. It is how young people and groups of young people all over the world are joining together, transforming schools and communities and creating solutions and projects that are addressing our most urgent challenges. SI: In all of the issues that young people are involved in, is there a commonality or fundamental view of life that underpins them all, which society and our institutions just don’t seem to be addressing today? JG: There is a fundamental worldview at play in modern society – a worldview of separateness. That brings about individualism and the scientific materialistic reductionism that reduces life to its material nature and doesn’t honor its true value and deeper nature. In this worldview of separateness, everyone is looking out for themselves and we are not connected with the environment, our communities, not even with ourselves and our souls, our own inner spirit. We are not connected with God or that greater mystery. We see the result of that playing out throughout our society – socially and politically. There is a fundamental need to transform that worldview and return to a way of being where we recognize the inner connectedness of all life and all people; our connection with the natural world; our connection with each other; our connection with our deep human nature; our connection with the greater wonder and mystery of life. If we bring that way of being back into our culture and societies, it makes us whole again. It makes us a whole people and allows us to live on a whole planet. That really is at the heart of the awakening we are working toward. Many groups are waking up, taking action, and working toward that vision in many ways. One thing we value is that change has to happen on both the inner and outer levels. It has to be systemic change that includes the individual, groups and all of our institutions. That is a big part of what we are up to…. SI: What do you believe the future civilization being ushered into existence today will look like, considering the values of the young generation and the sacrifices they are willing to make? JG: I don’t want to pretend that any of us knows exactly at what point we will say, “Alright, this is the new world.” It is a process, an unfolding narrative, but I do think the new world is emerging. We have to look at every sector of society. We are going to see communities that are far more local and resilient. That means on the local level communities living off food and resources that come from their local area and aren’t shipped from half way across the planet. We will be far more ecological and sustainable in our way of building and consumption. Our technologies and buildings and cities will be ‘green’ and sustainable. The design world is exploding with new innovations. Our transportation and energy systems will be clean and happy for our planet and communities. Our educational systems will find a balance between creativity and knowledge. Media will be far more distributed. … Politically we are leaning toward a new era in democracy. We are going to see a lot more digital democracy and a much larger participatory culture where, on a local level, we are engaged in making decisions together. Even on the national and global level there will be ways to allow millions of people to share their voice around the big issues that we face. An era of participatory democracy is coming. We are going to see diverse, multicultural communities and societies where our differences are not just accepted but celebrated, where racial divisions and judgments are no longer in place. We will see peace among the nations. We are moving to an era where we will all recognize that we are fundamentally part of one planet and one species together. So we will join together and co-operate with far more harmony and collaboration. That means some level of global governance, not just at the top, but healthy levels of governance at the local and regional levels, up to the global level. Spiritually and religiously it means a world where our personal lives have a connection with our higher selves, with God or the great mystery. We will all honor and respect our different stories about the nature of reality, but fundamentally we will all share a recognition of the Golden Rule – that life is good, of value and we should all love and be good to each other. That era is coming. SI: Is there anything further you would like to add? JG: Our work is about lifting up and empowering the young generation, but ultimately we recognize that changing our world can’t come from one generation alone. It has to come from every generation working together. We need young people, older people and elders all working in collaboration. Young people today have a special role because we have tools, knowledge and skills that are an important part in bringing forth this new world, but ultimately we need us all. Sometimes when older people hear about this story they ask: “Well, what’s my role? Do I just sit back and watch the younger generation change it all?” And that’s not what needs to happen. It’s not what is going down. We need all hands on deck. Despite making impressive strides in its development Brazil is still a nation of great contradictions. Its rapid development has made it the sixth largest economy in the world. Paradoxically however, the gap between the rich and poor in Brazil is considerable, and according to the United Nations Human Development Report for 2011, it is 84th out of 187 countries in the Human Development Index. The United Nations Development Programme points out that Brazil has the third-worst inequality index in the world. Limited access to land and housing for a large section of Brazil’s population is perhaps one of the greatest contributors to chronic inequality. Brazil is the fifth-largest country in the world covering 8,514,877 square kilometres, but in 2008, 8 million families were homeless and more than 20 million families were living without adequate shelter. According to the 2006 agricultural census 46,000 people in Brazil own almost half of all the land. The 2010 report by the National Institute of Colonisation and Agrarian Reform found that 55.8 per cent of the country’s land consists of large estates, 40 per cent of which is left as ‘unproductive’. Under the Brazilian constitution this land should be liable for redistribution to the landless population. In 2009 the UN Food and Agriculture Organisation (FAO) appealed for countries worldwide to regulate the possession of land in their territories since the redistribution of land is vital for the development of a country, stating that “secure access to land is the best safety net for the poor”. Most researchers agree that the reason Brazilian land ownership is concentrated in the hands of a relatively small group of people has its origins in the early days of Brazilian history when the King of Portugal divided the new colony into 12 portions, and offered Portuguese nobility the opportunity to explore the country. This model continued throughout the country’s development; in the 20th century tensions surrounding the issue of possession of land intensified and more recently the media has reported on rural workers and activists being killed in land-related conflicts. In the 1980s social welfare policies moderated, to some extent, the differences between the rich and poor in the cities, but from the 1990s onwards, with the gradual dismantling of the welfare state in favour of a market-led economy, less investment has been made in social areas, and the homeless population of Brazil has increased. In addition, the current real-estate boom in the country caused the properties and rent prices to rise dramatically, further impeding access to housing. A number of political groups allied themselves with the real-estate sector, putting the wishes of this strong economic group ahead of people’s rights. According to the 2010 census, the number of homes and empty properties in Brazil was approximately 6 million, which according to experts would be more than enough to meet the housing needs of the homeless population. However, state and local government resisted obliging the owners of empty properties to make them comply with their legal obligation to either sell them or make them available at lower rental rates…. The Pinheirinho case has galvanised the Brazilian people to rise up to demand their rights. The Landless Movement, which promotes land reform, launched a series of demonstrations in April 2012, including the occupation of the Ministry of Agrarian Development building in Brazil’s capital, Brasilia. In São Paulo the Homeless Movement staged a protest on 2 April 2012 attended by thousands of people, prompting a more rapid response on the part of the authorities to provide housing for the homeless. Also in April 2012, about 1,500 people held a demonstration in São Paulo calling for an end to evictions like the Pinheirinho incident. Little by little the voice of the people in Brazil is getting stronger and stronger. On 12 May 2012 protests took place around the world including Spain, USA, Russia, Israel, UK, Portugal, Greece, France and many other countries. The Indignados, the Occupy, the Take the Square movements, and allied groups, called for a global day of action against austerity policies and the widening gap between rich and poor, planning a series of demonstrations, occupations and rallies to commemorate 15 May 2011. This was the first anniversary of the launch of the Indignados movement in Spain which, along with the revolutionary movements in Tunisia and Egypt and across the Middle East, inspired the Occupy movement, which began in September 2011 in America and spread to cities around the world. Nowhere were protests as large as in Spain. Tens of thousands of people protested in more than 80 Spanish cities to mark the anniversary. The biggest were in Madrid and Barcelona, with around 200,000 people in each city. Spain’s economic crisis has deepened since 2011, slipping back into recession with an unemployment rate rising to almost 25 per cent, with one in two under 25-year-olds out of work. Prime Minister Mariano Rajoy’s Conservative government has enacted deep spending cuts to reduce the national debt but many people blame those measures for deepening families’ financial plight. “We have to stand up and say enough is enough! They pull our hair telling us we’re lazy so they can dismantle social welfare and take away health and education and now they’re bailing out the bankers,” said Gloria Bravo, a civil servant. In Moscow, Russia, several hundred people have set up an Occupy camp and plan to continue their protest until 12 May when a ‘March of Millions’ is scheduled. They are protesting against the return of Vladimir Putin to the Kremlin on 7 May. “We’re here because we care about the future of Russia and don’t want to see Putin in power for another 12 years.” student Nikita Belov said. Protests also took place in the Lisbon, Frankfurt, Paris and in Brussels. The last working Japanese nuclear reactor was switched off in May 2012, as part of the safety drive after the meltdown at the Fukushima plant in March 2011, leaving Japan without energy from atomic power for the first time in more than 40 years. Around 5,500 people marched through Tokyo waving banners to celebrate what they hope will be the end of nuclear power in Japan. 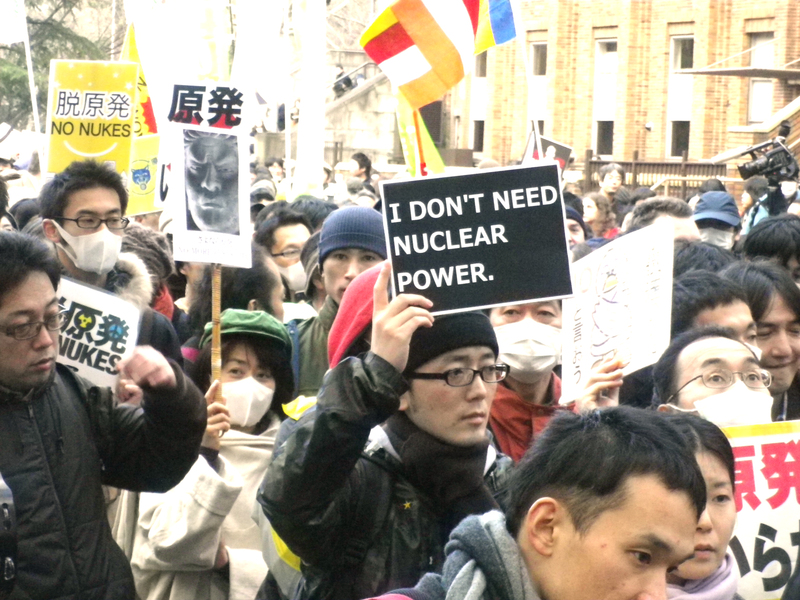 “There are so many nuclear plants, but not a single one will be up and running today, and that’s because of our efforts,” campaigner Masashi Ishikawa told the crowd. Since the Fukushima disaster, all of Japan’s nuclear reactors have been shut down for maintenance and tests against earthquakes and tsunamis. All reactors must pass the recently introduced two-stage stress tests, and then get consent to restart the plants from the local authorities. None have done so yet. Two reactors at the Ohi plant in western Japan have been declared safe and the government wants them to restart to combat potential shortages in the summer, but regional authorities still have to give their approval. Before the Fukushima accident, a third of the country’s energy came from nuclear power, and there had been plans to boost its share to more than 50 per cent by 2030 with the construction of new reactors, but these have now been cancelled. Japan managed to function during the energy-saving regime enforced after the Fukushima accident. If, as the environment minister Yukio Edano has suggested, it manages to last the summer without widespread disruption to the power, more people will be asking why the temporary nuclear shutdown can’t be made permanent. “Sammen skal vi leve hver søster og hver bror” (“We shall live together, every sister and every brother”) – a line from the song ‘Barn av Regnbuen’ (‘Children of the Rainbow’) – rang out across a rain-soaked Oslo as 40,000 Norwegians gathered to make a point and endorse their shared values. The children’s song is a popular peace song which mass killer Anders Behring Breivik condemned at his trial, and is the Norwegian translation of US folk singer Pete Seeger’s anti-war song ‘My Rainbow Race’, from his 1973 album of the same name. Right-wing extremist Breivik had accused the translator and singer of ‘Children of the Rainbow’, Lillebjørn Nilsen, of being a Marxist who wanted to brainwash children, but it was Nilsen who led the crowd singing in Youngstorget Square, close to the courthouse where the trial was taking place. Breivik said that he launched his attacks to defend Norway from multiculturalism, and Muslim immigration in particular. “It’s we who win,” said guitar-strumming folk singer Lillebjørn Nilsen as he led the mass singing in both the Norwegian and English versions of the song. The crowd swayed gently in the rain; many held roses above their heads, and some wept. The crowd chose to sing ‘Children of the Rainbow’ because it is about the type of multicultural society Breivik said he despised. People also gathered in other Norwegian towns to perform the song, with the event promoted on social media. After the singing, people marched to the district courthouse where Breivik was on trial, close to the site where he set off a bomb that killed eight people on 22 July 2011, before going on to massacre a further 69 – mostly teenagers – in a summer camp on Utøya island. In October 2011, at the age of 92, the song’s composer, activist Pete Seeger, had been part of an Occupy Wall Street march to Columbus Circle in New York City.